I apologize for disappearing for a few weeks. Life got the best of me but I’m back. This week, let’s talk about my favorite natural hair products for the month of April. I am definitely a product junkie. I’m always picking up new natural hair products when I go to the store. I’ve been stuck on four products this month. While shopping at my local Kroger’s I came across some Taliah Waajid Natural hair products. I’ve used a few products from her brand before and love them. So when I saw the cleanser and Leave in / detangler conditioner, I knew I wouldn’t be disappointed. The last product that I fell in love with this month was Eco Style Black Castor and Flax-seed oil Gel. I’ve tried and still use Argon oil and Olive Oil Eco Style Gel. I was super excited to try their new Black Castor Oil and Flax-seed oil gel. Anything with flax-seed and castor oil has to be good right? 1. CLEAN-N-CURLY HYDRATING SHAMPOO™ – 8 OZ. My scalp felt very clean and hydrated. For my hair a little goes a long way when using this shampoo. It smells amazing. I’m going to continue to purchase this product. 2. 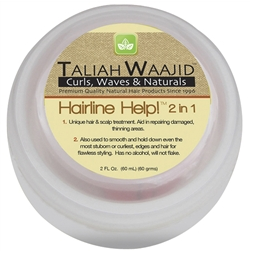 TALIAH WAAJID THE GREAT DETANGLER ™ Sulfate Free, Paraben Free – 8 OZ. Helps to eliminate tangles on contact. Works to define curl pattern while combating breakage. Rich with moisture and proteins for soft and healthy hair. I used this product as a co-wash instead of a detanlger. This conditioner has great slip. My curls loves this stuff. I’m definitely going to use this conditioner as a leave in and detangler but so far I love what I see. 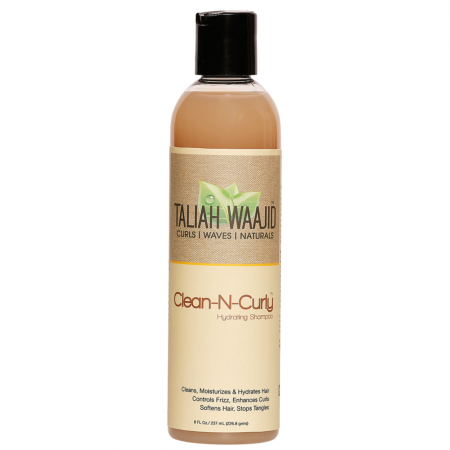 Taliah Waajid never disappoints when it comes down to her natural hair products. -Repairs damaged and thin layers. -Smooths and holds down stubborn, curly hair strands. I own a lot of edge controls but this one will be at the top my list for a while. My edges and bun stay intact all day. It’s worth the 10 bucks I paid for it. It will continue to be a monthly favorite. Style Black Castor & Flax-seed Gel helps to nourish, repair and grown hair. Wheat Protein strengthens and protects hair. Weightless and will leave your hair with a healthy shine and superior hold. It’s just as great as the other Eco Style Gels. My bun stayed in place for 12 hours.